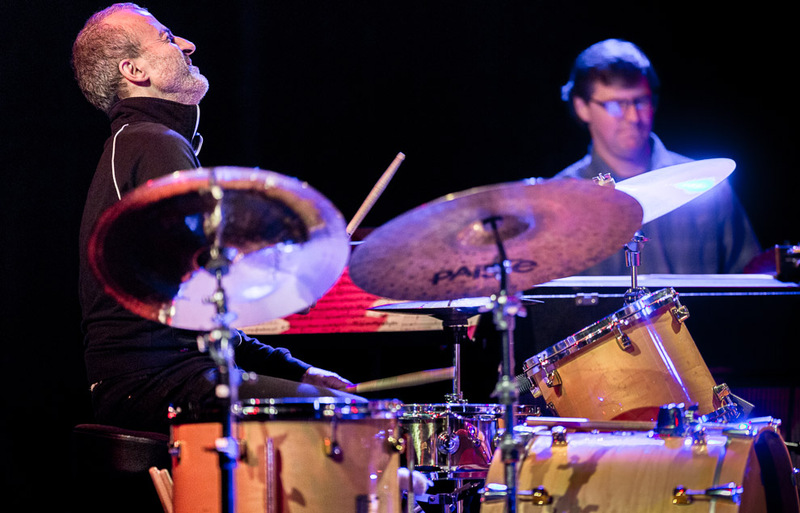 Bobby Previte leads his Voodoo Orchestra West Monday night at The Triple Door as R=Earshot Jazz Festival rolls on. 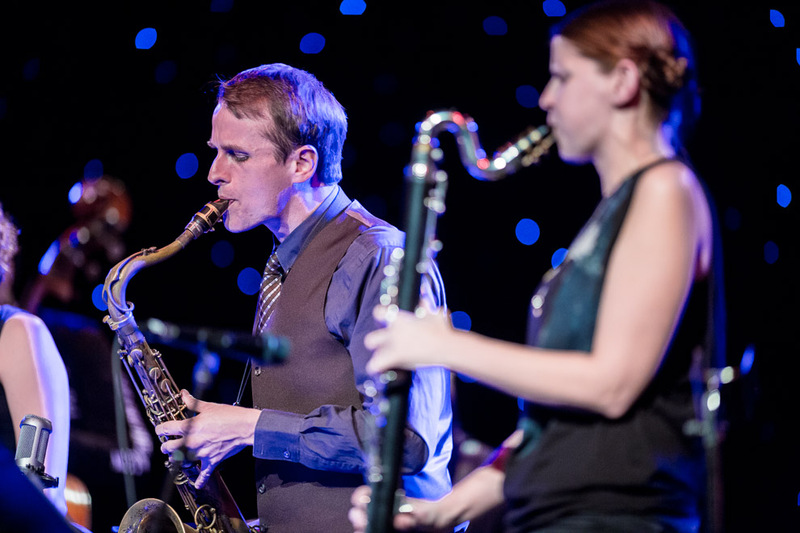 Saxophones Neil Welch, Kate Olson, bass clarinet Beth Fleenor, French horn Tom Varner, electric bass Keith Lowe, string bass Geoff Harper, Fender Rhodes Ryan Burns, keys Wayne Horvitz, B-3 organ Joe Doria, electric guitar Tim Young and percussion Jeff Busch. 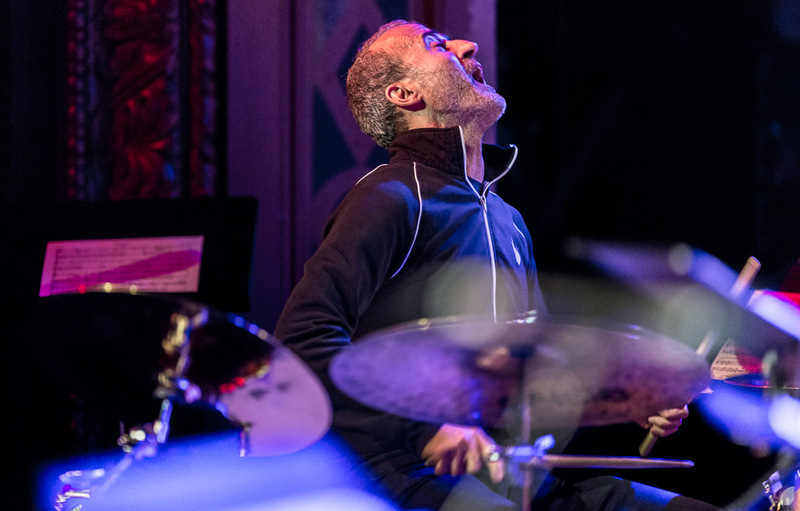 Under Previte’s direction from the drums, the pieces often progress at differently than what Davis devotees are accustomed to. His Voodoo Orchestra West conjures the source material’s spirit and atmosphere; they play as themselves in Davis’ court, rather than simply emulating the sidemen on the original records. That allows a freedom to uncover their own starts, stops and melodies.